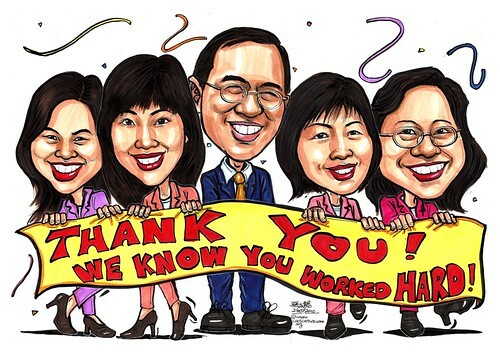 My request would be for 5 of them(together in one artwork), to be in a celebratory kind of background, holding a banner, maybe with the words "Thank You! We Know You Worked Hard!" along this line."